You’ll find a complete selection of top quality Budgit hoist parts at McDal Corporation. Browse through our inventory and find everything you could ever need for your overhead hoist and crane systems. We also offer a diverse selection of chain hoists for sale for all of your construction and installation projects. If you need help installing one of our products, we have a team of professionals standing by ready to assist you. You’ll find all of the parts you need for electric chains hoists and more right on our website, in our warehouse, or on our eBay store. 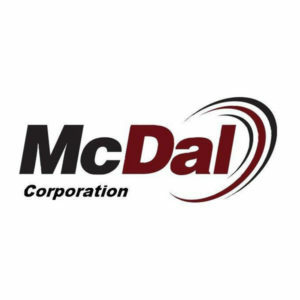 The options are endless when you shop with McDal. Don’t hesitate to get in touch with us if you need more information about our Budgit hoist parts. As the largest distributor of electric chain hoists in the PA tristate area, we can always help you find the right tool for your project. Shop top condition parts for our chain hoists for sale today!